This petite pen style battery is a perfect fit for those who want their electronic cigarette to look and feel like a traditional cigarette. It is also designed with an automatic feature eliminating the need to press a button for the battery to funtion. The Joye 510 180mAh Automatic batteries should never be left unattended on the charger and should only be charged for 1-4 hours. 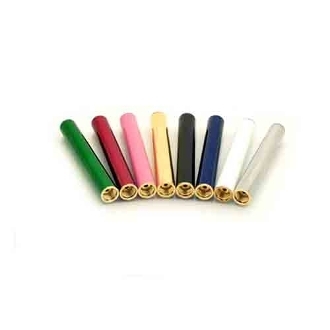 The Joye 510 e Cigarette batteries are available in Black, White, Gold, Stainless Steel, Pink, Red, Green and Blue.